Below is a list of 55+ Adult Senior Living communities and complexes throughout the greater San Diego area. The listed complexes/communities contain only single level houses and condominiums (some condominiums are twinhome, duplex style). 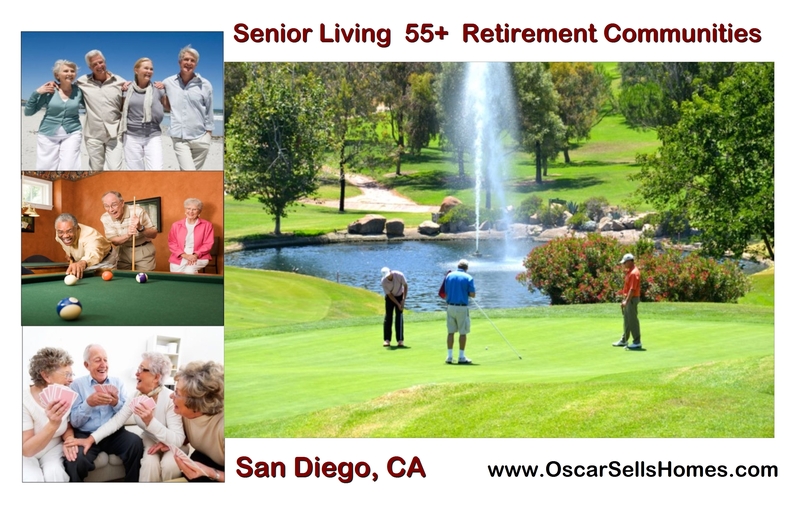 San Diego offers a wide selection of 55+ Senior housing from which one can choose from. 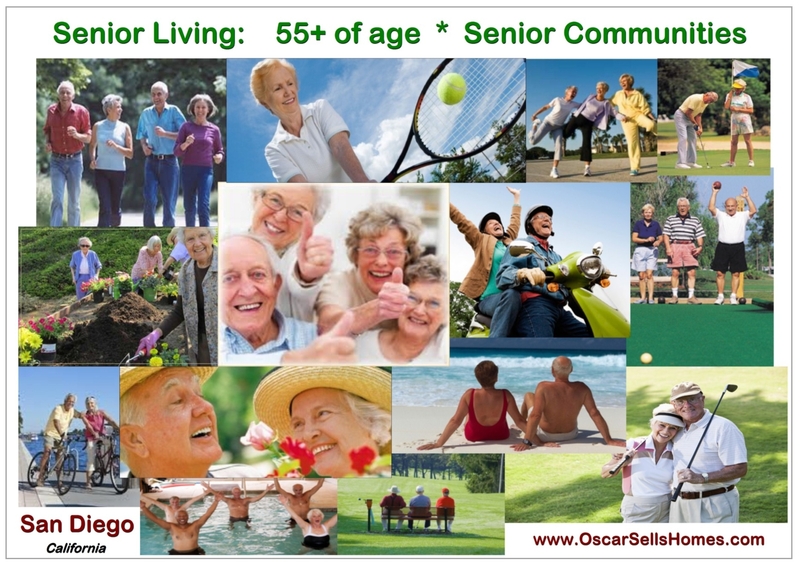 Knowing that the choice will depend on what type of services you want, how social and active you want to be and of course a budget - I am very confident that there is an area, a complex and a home here in San Diego that will satisfy your retirement "Senior Living" housing needs. All the Senior 55+ complexes are designed towards “independent living” with a variety of choices that meet your social, cultural and recreational desires. Most complexes have a clubhouse and a recreation room that offer many amenities and activities such as (to name a few); fitness exercise rooms, tennis courts, water aerobics, travel clubs, computer rooms, dance classes, bicycle paths, walking trails, shuffle board, bocce ball, book clubs, arts, crafts, easy golf course access and golf memberships. 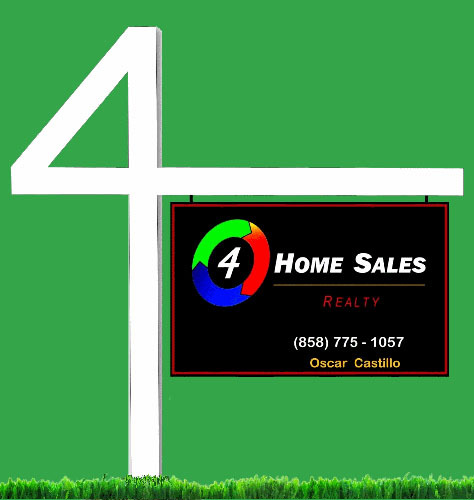 Each San Diego area, listed below, has a link to a housing complex/community. In order for you to get a "feel" of each, the links contain pictures, a description of the complex and housing size details (ie: square footage, number of bedrooms and bathrooms etc.). Each complex/community page also contains a "View Listings” link button in which you can view any “ACTIVE” listings that are currently on the market in that particular complex/community. 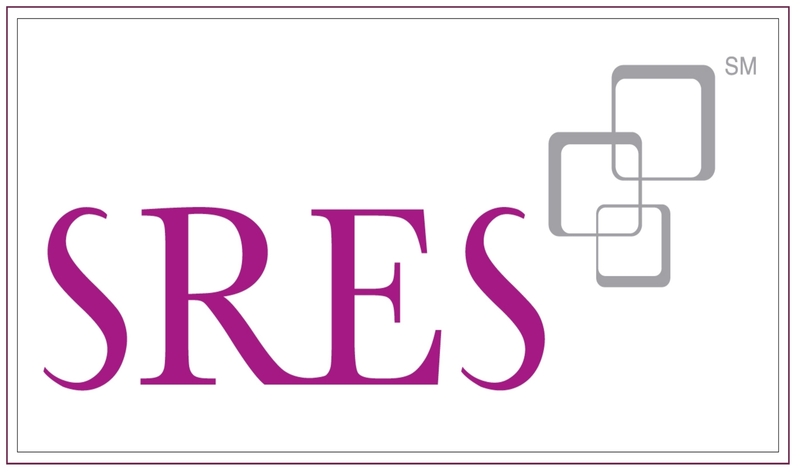 • Take advantage and explore all the 55+ Senior housing complexes and community information this page has to offer ! .... Your thoughts are always appreciated. Let me know of how I can be of any further help to you.... Always know that I am never too busy to assist you or answer any immediate questions you may have. All my contact information is below, feel free to contact me anytime.